Central Working White City have kindly collaborated and supported Upstream multiple times – from hosting our startup clinics to Biotech cluster drinks to Upstream Thursday talks with the MD of Seedcamp and also with the Mayor’s Chief Digital Officer. Central Working is the UK’s premier homegrown shared workspace provider, transforming the way people work and companies grow. Today we operate from eleven beautifully designed clubs across the UK, providing thousands of businesses with the environment, connections and support they need to thrive. 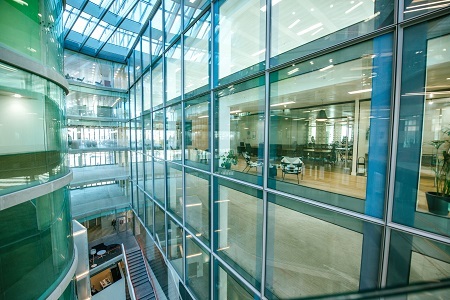 In partnership with the wonderful Imperial College Think Space, our incredible White City location offers flexible workspaces featuring light and spacious offices and facilities designed to support businesses of all sizes – from young start-ups and fast-growth companies to established biotech and scientific research organisations. Situated next to the well-connected Westway and plenty of tubes lines, as well as the Westfield Shopping Centre, this Central Working site is the place to stay ‘business-connected’.